One consequence of my flight misadventure was that my first vacation of the year kind of blended into the second one, so instead of going straight back to Conakry I met up with my friend Alfred* for a weekend in Banjul, the capital of the Gambia, that little squiggly country in the middle of Senegal. 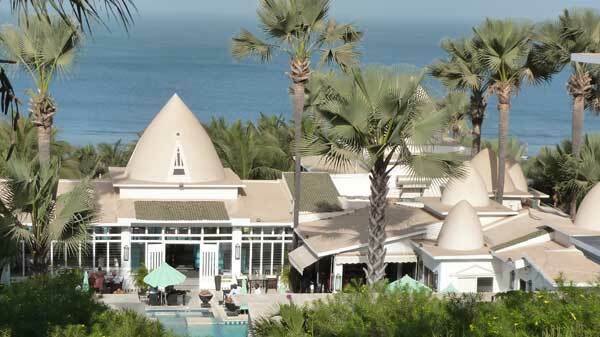 A strip of hotels on the coast just outside Banjul has developed a fairly brisk trade as a budget-luxury resort destination, accommodating fleets of charter planes full of mostly British snowbirds craving a break from the dreary English winter but unwilling to spring for a trip to the Caribbean. The place was bustling with middle-aged couples who sounded like they had just stepped off the set of EastEnders and constantly reminded me of Monty Python's travel agent sketch. There was also a significant crowd of over-painted under-dressed older women on the prowl for friendly young African men, one of the Gambia's most abundant natural resources. Which way is the spa? Despite being demographic misfits Alfred and I had a pleasant time, enjoying the beach, the fancy salads, the well-paved roads, reliable electricity, and other such luxuries unobtainable in Conakry. 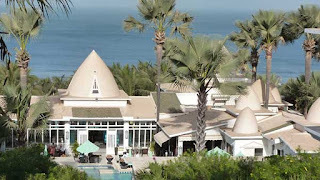 Aside from beach bumming, for entertainment Banjul and its environs offer some golf courses, a craft market, some modest museums on local history and traditions, and a pond full of crocodiles docile enough to pet. It's not a terribly impressive place, but a sleepy little resort town is a nice option to have when the din and dysfunction of Conakry starts to get to you.